Two motions on water fluoridation were put forward. The first of these was moved by Councillor Moulton and commits the Council to explore its legal powers in the light of changing legislation contained in the Health & Social Care Bill currently being debated in Parliament. This motion was passed unanimously. The second motion, moved by Councillor Gerry Drake was more hard-hitting, directly calling on the Council to reject fluoridation. In a vote passed by a 2 to 1 majority, the Council voted to oppose water fluoridation. With this vote, the City Council is now officially opposed to water fluoridation—reversing its original sup- port in 2008 and bringing the Council into line with all other local councils who have opposed the scheme from the beginning. In what was often a heated debate, many councillors denounced the SHA‟s consultation process, arguing that fluoridation was mass medication and an affront to democracy. Furnell (representing Millbrook ward) made disparaging com- ments about campaigners, insinuating that we do not use good evidence to support our argument. Cllr Noon asserted that “97% of scientists, including geologists support water fluoridation....” This somewhat bizarre reference to geologists resulted in laughter from the public gallery! Hampshire Against Fluoridation have, of course, continued throughout the campaign to use only the highest quality research evidence. It is not clear exactly which councillors voted for and against the motions and we urge anyone interested to contact their local councillors to find out how they voted. The motion put forward by Councillor Drake was as follows: “This Council now opposes the addition of fluoride to Southampton’s water supply and will use all its present and any future powers it may be given to prevent the implementation of a fluoridation scheme”. While there were many abstentions and some votes against the motion (mainly from the Labour side), the motion was carried and this means that Southampton City Council now has an official anti- fluoridation position. 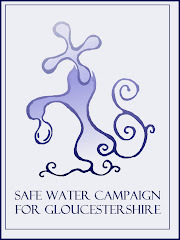 This is important because, in 2008, the council voted to support the SHA‟s plans to implement water fluoridation and this has been used by the SHA to support their decision to go ahead with the scheme. However, this vote was taken BEFORE the Council knew the outcome of the Consultation which resulted in 72% of local respondents registering their opposition to the proposed fluoridation plan. The other motion which received unanimous support, was put forward by Councillor Jeremy Moulton. It is much wordier and merely commits the Council to debating the issue again when the Health & Social Care Bill has been finalised. As it stands, it seems that Councils WILL have the power to either implement or REVERSE fluoridation schemes when SHA‟s are phased out in 2013. However, there may be amendments to the Bill so it is a question of waiting and watching what happens. The wording of the motion is abridged below: “Council welcomes the petition and thanks all those who have signed it for doing so. Council acknowledges that this is an issue of concern to many........Council further notes that the new pub- lic health role for the Council is subject to the passage of the Health & Social Care Bill.....It is unclear what requirements would be placed on a Council in the future if it were minded to propose the termination of a scheme. Council further notes that the Health & Social Care Bill is current- ly progressing through Parliament and is now in the House of Lords, and that those with strong views on fluoride might wish to make representations to Parliament on the Bill....Finally, Council resolves to urgently debate the issue of local fluoridation again should powers be granted to the Authority which give it any powers to influence the progression of a fluoridation scheme”. HAF has sent a letter to the SHA requesting it to shelve the scheme. In promoting the Health & Social Care Bill, the Government has emphasised how important it is for public health decisions to be made by democratically accountable local councils. For the SHA to push ahead would be ridiculous now that Southampton City Council is committed to reversing any scheme when and if they have the power to do so. The HAF letter adds “Based on just the cost of the consultation, it would have been possible to implement a targeted scheme such as the one introduced in Northamptonshire. In fact, the cost of good targeted programmes would be less than the predicted revenue costs of the fluoridation scheme and provide children with lifelong dental hygiene skills... Over the next 18 months there is the opportunity for the SHA to take a strong leadership role in improving oral health by sup- porting the development of effective, targeted dental health schemes in the area—leaving a lega- cy to be proud of”.